Your smile is one of the first and most important things people notice about you. It is a reflection of many things ... a joy in life, self-esteem, self-confidence, even strength of character. The impact that a dazzling smile can have on your life in the twenty first century is immeasurable! 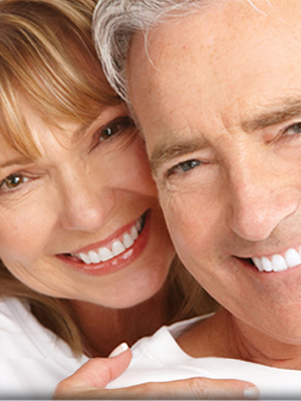 We can take years off your smile or correct flaws, greatly enhancing your overall appearance. There are many procedures that can be performed to enhance your smile. 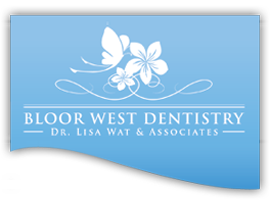 At Bloor West Dentistry, we take extra time to find out what you envision as your perfect smile and formulate a plan with you to help you achieve it. We take pride in our methods to achieve a personally unique smile which looks natural and yet improves your smile. Come and see us for a consultation so we can evaluate your smile and explain how you can get a smile makeover. Do you wish your teeth were a little whiter but bleaching has not been successful? Perhaps you wish your teeth were shaped differently, not chipped, not as crowded, or a space wasn't as prominent? Take another look at your smile and talk to us about how you would like to improve your smile. It is our pleasure and honour to help in transforming someone's smile. Therefore we make every effort to ensure a successful outcome. This includes detailed discussions about your expectations, risks and benefits. Through this process we may discover that veneers would be a good treatment choice. Porcelain veneers are ultra-thin, custom made restorations that are bonded on the front surface of your teeth. They are very esthetic, life-like, and rarely stain. When placed properly, veneers can help you look good and feel good. Prior to treatment, photos and impressions are taken and a model presentation of what your teeth would look like after treatment is often presented. Before we permanently finish the treatment, a trial "temporary" veneer phase is always used so that alterations to the look can be made. This allows you to take your smile out for a trial run and make sure that you are completely satisfied before the permanent veneer is attached. Please contact us to discuss about how you can achieve that pleasing smile!